Armitage On Controllers — Are These Controllers What We Want To Inform Game Design? Huh? 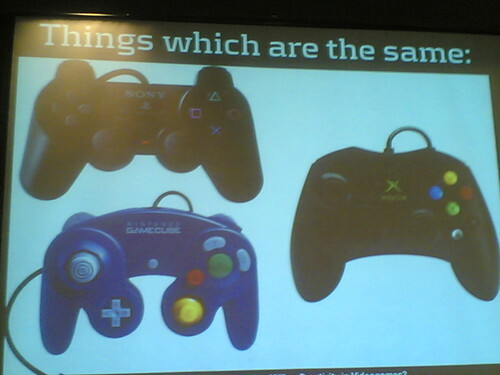 Are these controllers what we want to represent videogames? Why do I blog this There were some remarkable insights in this explication of the relationship between the input device design and the games they control. I like this stuff. It’s fun to think about the conditions of possibility for a video game design based on the game controller. It’s really a design constraint. Why is that the case? I mean, I know why â€” but how can the controller not be a critical path in this sense?